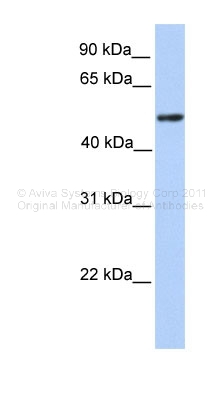 Western Blot analysis of ZBTB9 expression in transfected 293T cell line (H00221504-T01) by ZBTB9 MaxPab polyclonal antibody.Lane 1: ZBTB9 transfected lysate(52.03 KDa).Lane 2: Non-transfected lysate. 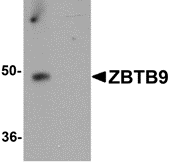 Western blot analysis of ZBTB9 in mouse heart tissue lysate with ZBTB9 antibody at 1 μg/ml in (A) the absence and (B) the presence of blocking peptide. 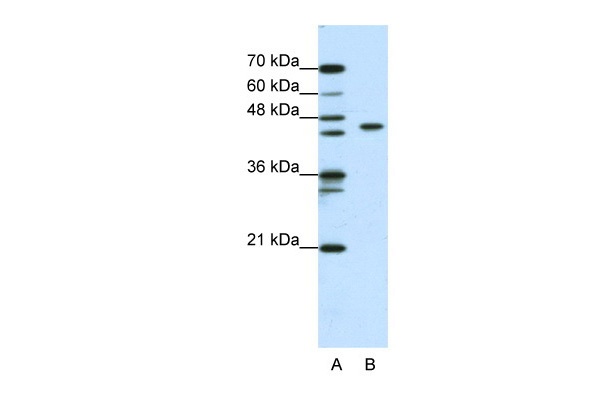 Western blot analysis of ZBTB9 in mouse heart tissue lysate with ZBTB9 antibody at 1 ug/mL in (A) the absence and (B) the presence of blocking peptide. 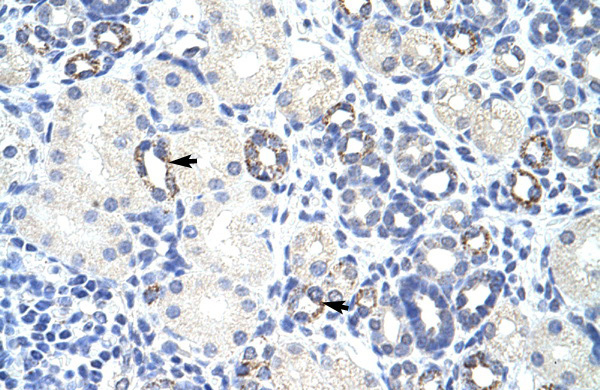 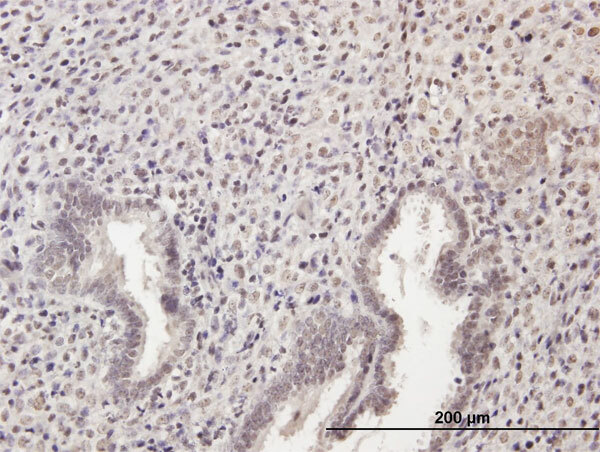 Immunohistochemistry of ZBTB9 in mouse heart tissue with ZBTB9 antibody at 2.5 ug/mL. 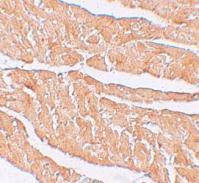 Immunofluorescence of ZBTB9 in mouse heart tissue with ZBTB9 antibody at 20 ug/mL.